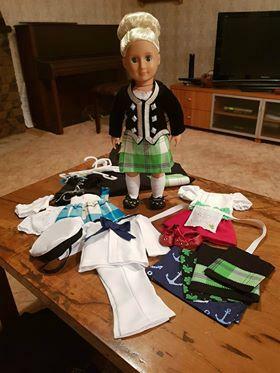 dance.net - Raffle for Highland Dancing Doll Costumes - complete Set (10249258) - Read article: Ballet, Jazz, Modern, Hip Hop, Tap, Irish, Disco, Twirling, Cheer: Photos, Chat, Games, Jobs, Events! This amazing doll and her multiple outfits could be yours! All money raised goes towards the hosting of the 2018 North Island Championship on New Zealand being held 2 June 2018. Raffle will be drawn at the event on the 2nd of June - winner does not need to be in attendance and we have options for doll to be delivered to Scotland or USA, or can arrange with the winner. email address: strathmore.raffle@gmail.com or comment below. Tickets 1 - 100 - get in quick to get your lucky number!